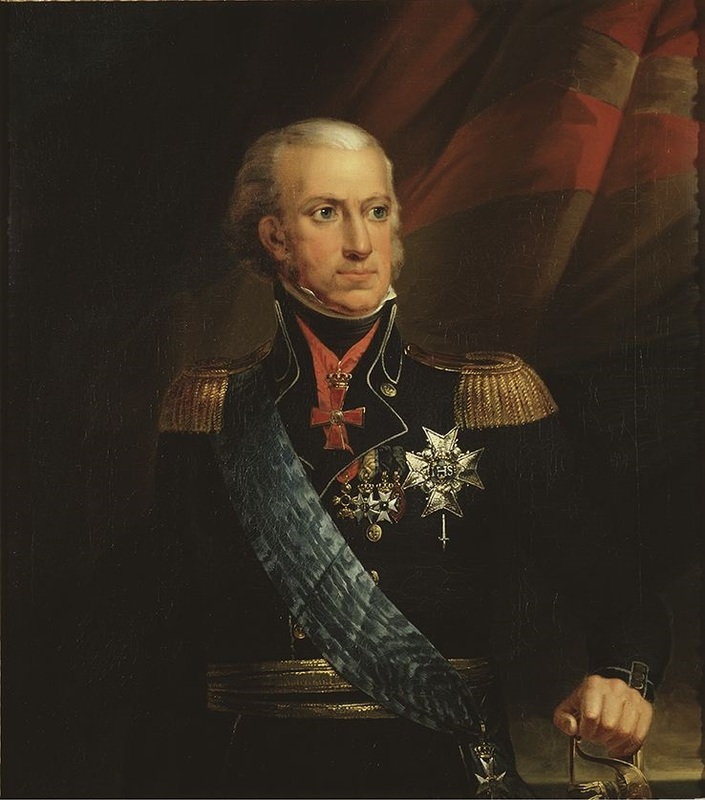 Today in Masonic History Charles XIII of Sweden is born in 1748. Charles XIII of Sweden was King of Sweden and Norway. Charles XIII was born in Sweden on October 7, 1748. Within days of his brith he was appointed grand admiral. He was his father's favorite, probably because Charles and his father had such similar personality. He was the second son of the King and Queen so was second in line to the throne behind his brother Gustav, who would become Gustav III. From a young age Charles was used as political pawn by factions opposed to his brothers rule which began in 1771 when their father passed away. Gustav at the time was abroad and Charles was placed in the position of being regent until his brother returned. Factions within the Swedish governement sought the opportunity to depose Gustav before he could return. This was unsuccessful. It was around this time that Charles' mother returned to Prussia. In the 1770's Charles helped his brother stop a coup by taking command of forces in the south of Sweden. Charles also had to deal with several arranged marriages, the first of which is mother arranaged around the time of his birth. His brother Gustav put a stop to those marriage plans to put Charles into a marriage that was going to have a more positive effect on Gustav's rule. He also wanted his brother to provide the Royal family with an heir. Gustav was married at the time, although the marriage was not consumated. After a failed pregnancy between Charles and his wife, now Duke and Duchess, Gustav consumated his marraige and had a son. Charles acted as regent for Gustav at various points in time until Gustav was assinated in the Stockholm opera. At the time, Gustav's son was not old enough to assume the throne so Charles was made regent. This was after a legal battle against the will that Gustav had changed as he lay dying that would have limited Charles power. Charles at the time fell ill and was unable to participate in governement so he appointed a regent of his own. The four years that Charles reigned as regent with his regent acting for him are considered four of the darkest years in Swedish history. The period is referred to as an Age of Lead succeeding an Age of Gold. Eventually Gustav IV Adolf, Charles' nephew ascended to the throne in 1796. Gustav IV ruled until 1809, when a coup occured while he was out of the country. Unlike previous coup attempts against Charles' brother, Charles stood by and allowed the coup to happen. When the coup was over, Charles was asked to assume the throne in the new governemtn which was composed of the King (the executive) and the Riksdag of the Estates (the legislative). The two shared power equally and is considered the begining of the Age of Liberty in Sweden. Charles refused though to take the crown until he was assured of the safety of his nephew. Within a short period of assuming the throne, Charles became ill in part due to a heart attack he suffered. Before long he was unable to particiapte in the governement and his regent, a French General Jean-Baptiste Bernadotte, acted for him. Bernadotte was also his heir to the throne since Charles had no biological children. By the time Charles passed away on February 5th, 1818. In 1809, Charles became Grand Master of the Grand Lodge of Sweden. In 1811 he established the Order of Charles XIII which is an order of chilvalry awarded only to protestant Freemasons.